Junior Claire Zimmerman, the current ilLUstrator mastermind, posing with the newest edition. Thus reads the description of the student organization “The Illustrator” (stylized as the ilLUstrator) in the 2017 involvement guidebook. However, the IlLUstrator as Lawrentians once knew it didn’t exist at the beginning of the 2017-2018 school year. All of the art in the zines was submitted by students at Lawrence, edited and compiled by Johnson, and assembled into booklets by Johnson and members of the club. Issue 5 was published in Apr. 2017 and would be the last for a while. In Jun. 2017, Johnson graduated, leaving the organization in the hands of other members. Unfortunately, due to other obligations and oversights on the part of club members, membership dropped and the once weekly meetings became less frequent and more unpredictable. By Spring Term of 2018, the club had fallen to the background and was not renewed as a recognized organization through the Lawrence University Community Council (LUCC). Long-time member of the ilLUstrator junior Claire Zimmerman noticed the club’s absence and resolved to revive it. That spring, Zimmerman petitioned LUCC to re-recognize the club despite it being past the deadline for re-recognition, and started it up again. Since the beginning of this year, the ilLUstrator has been a real club again, with weekly meetings and regular members. This past fall, Zimmerman and the members of the ilLUstrator released the first new edition of the zine in over a year. Issue Six features art by eight Lawrence students and represents a new era for the club. The current issue of the ilLUstrator is accepting submissions until Feb. 16. Art, comics and black-and-white graphics of any form can be emailed to zimmermc@lawrence.edu. 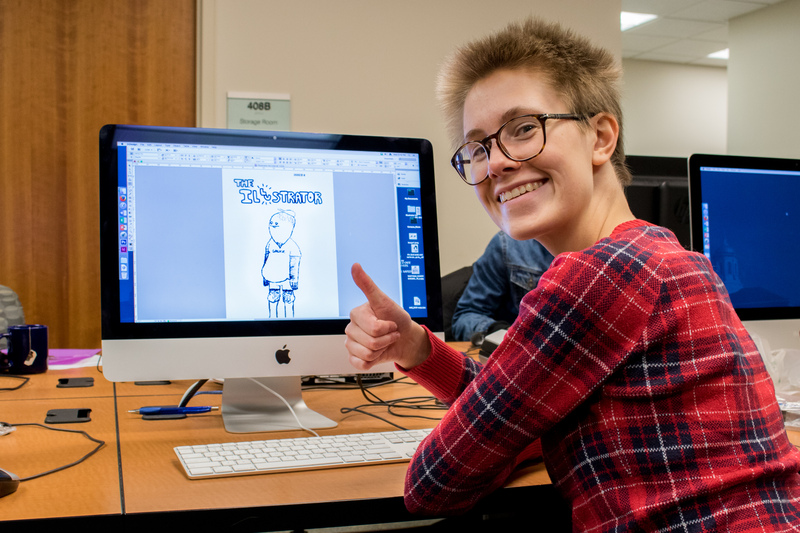 The ilLUstrator welcomes everyone and meets from 8 p.m. to 9 p.m. on Mondays in Memorial Hall 104. They’re looking to pursue new directions this upcoming year.